I added rudimentary level generation and player movement today. Otherwise very little progress during the last two days. I'm using Sean Barrett's stb_herringbone_wang_tile.h library for level generation like last year. 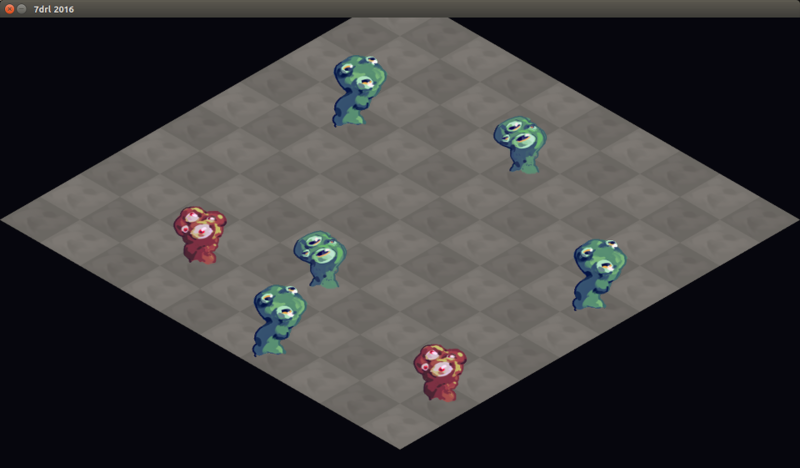 I'm thinking of rendering the map in an isometric view with fairly large sprite sizes. 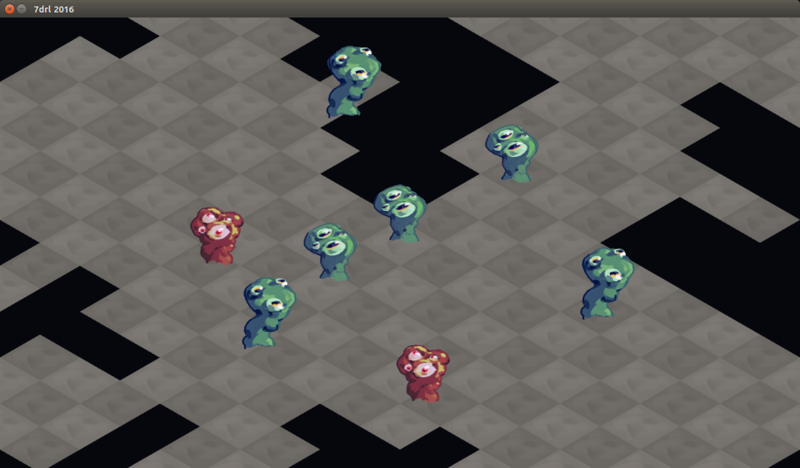 So that's where I started today by painting a few textures and adding some test code for map drawing. Starting at 21:00 on Sunday evening.